The Slovenian banking sector has undergone extensive changes in the past few years, driven mainly by the international financial crisis and the measures adopted by the European Union as a response to it. As a comparatively small and specific market, Slovenia had (and to certain extent still has) a rather fragmented banking sector with a vast number of relatively ‘small’ banks. Not only those smaller banks but also the banks with systemic importance (NLB dd, Nova KBM dd) faced severe solvency and liquidity problems. This led to the establishment of the Bank Assets Management Company (BAMC) in 2013. By the end of that year, a substantial part of the non-performing assets of the two largest banks (NLB dd, Nova KBM dd) had been transferred to BAMC (followed by the transfer of the non-performing assets of Abanka Vipa dd and Banka Celje dd in 2014), and ‘bail-in’ measures were implemented by the Bank of Slovenia in December 2013 as extraordinary measures ordering five banks to write off certain types of liabilities (share capital, hybrid capital and subordinated debt instruments). The bail-in measures were challenged before the Constitutional Court of the Republic of Slovenia and, following a preliminary ruling by the Court of Justice of the European Union (CJEU) dated 19 July 2016,2 the Constitutional Court issued its decision on 19 October 2016,3 in which it decided that the bail-in measures were constitutional, at the same time giving shareholders and holders of hybrid capital and subordinated debt instruments an option to challenge the bail-in measures by claiming damages before the regular courts. A new special law, which is in the process of being adopted, will regulate these procedures. Although it can be claimed that the overall financial (banking) sector is currently stable as a result of the above-described measures, it is still, to a certain extent, subject to overall restructuring. Mergers of banks continued, and the number of banks incorporated in Slovenia fell to 12. The top five Slovenian banks, rated in order by market capitalisation,4 are NLB dd, Nova Kreditna Banka Maribor dd, Abanka dd, Unicredit Banka Slovenija dd and SKB dd. The Banking Act, which regulates the establishment, management and supervision of banks in Slovenia, entered into force on 13 June 2015. The Act fully implemented Directive 2013/36/EU and partially implemented Directive 2014/59/EU. The Banking Act also accords with Regulation (EU) No. 1024/2013 in implementing Basel III. On 25 June 2016, the Resolution and Compulsory Dissolution of Credit Institutions Act entered into force, partially amending the Banking Act, implementing Directive 2001/24/EC and Directive 2014/59/EU, and regulating in detail the execution of Directive 806/2014/EU. The main objectives of the Banking Act are the regulation of stable internal administration comprising a stable organisational structure, effective risk management structures and rehabilitation plans, adequate internal control mechanisms, and adequate policies and rules on benefits. The Bank of Slovenia has been granted greater ‘supervision leverage’ and can impose a fine of up to twice the annual profit obtained from a breach if a breach can be established, or 10 per cent of the company’s gross annual income. In addition, a fine of up to €5 million or up to twice the annual profit obtained from the breach, if it can be established, can be imposed on a member of the management or supervisory board. When establishing the credit risk, the bank cannot rely exclusively on external credit ratings, but should also take other information into account and use external credit ratings as one or more factors in the process of decision-making on loans. Several buffers are regulated by the Banking Act and, as a pillar, certain competences of the Bank of Slovenia have been transferred to the European Central Bank (ECB). the Banking Act provides for additional supervisory measures or the ‘early prevention of consequences’ in the event that there is a rapid deterioration in the financial position of a bank. The Banking Act regulates the conditions for carrying out business and the regular liquidation of banks with their head office in Slovenia, as well as the conditions under which foreign credit institutions (with their head office outside Slovenia) can perform business in the territory of Slovenia. It further regulates the competent supervisory authorities, measures and powers in the process of supervision. The Banking Act also regulates measures and powers for the management of macroprudential and systemic risks in relation to credit institutions with their head office in Slovenia. The Banking Act defines three main types of services: banking services, financial services, and additional and other financial services. investment services and business as well as ancillary investment services. The mutually recognised services under the Banking Act are banking services and financial services. Only the following entities can perform banking services on the territory of the Republic of Slovenia: (1) a bank that has obtained a licence in accordance with the Banking Act; (2) an EU Member State bank that incorporates a branch office in Slovenia in accordance with the Banking Act or that is entitled to directly perform banking services on the territory of Slovenia; or (3) a non-EU Member State bank (i.e., third-country state bank) that incorporates a branch office in Slovenia in accordance with the Banking Act. A company with its head office in Slovenia may start providing banking services on the territory of Slovenia after it obtains a licence for such services from the ECB in accordance with the Banking Act and Regulation (EU) No. 1024/2013. A bank may start performing financial services and ancillary financial services in Slovenia once it has obtained a licence from the Bank of Slovenia to provide such services in accordance with the Banking Act (certain ancillary financial services can be provided by a bank after giving notice to the Bank of Slovenia, accompanied by a three-year business plan). In addition, an EU Member State bank may provide mutually recognised financial services through a branch office or directly, provided that the Bank of Slovenia receives proper notice from the banking supervision authority in the bank’s home Member State (passporting) and after the Bank of Slovenia has replied with a notice to the bank’s home Member State supervision authority explaining certain aspects of mandatory Slovenian law. A Slovenian bank can be organised either as a joint-stock company or as a European joint-stock company. The minimum share capital of a bank is €5 million (which should include one or more items from points (a) to (e) of Article 26, Paragraph 1 of Regulation (EU) No. 575/2013). Shares of a bank can only be issued as registered shares and can only be paid in in cash. Slovenian banking regulation closely follows EU legislation in the field with only certain carve-outs and national exceptions. the Insurance Supervision Agency (ISA), of which the main responsibility is supervising insurance undertakings, insurance agencies and insurance brokerage companies, and insurance agents and brokers. The ISA also supervises legal persons related to an insurance undertaking, if necessary for the purpose of supervising the operation of an insurance undertaking, and additional control of an insurance undertaking within an insurance group, insurance holding company or joint-venture insurance holding company. The Bank of Slovenia is the prudential regulator of banks in accordance with Regulation (EU) No. 1024/2013, with the exception of tasks and competences in relation to credit rating supervision, where competence is, in accordance with Regulation (EU) No. 1024/2013, shifted to the ECB (Article 9(1) of the Banking Act). In addition, the Bank of Slovenia is competent and responsible for supervision of entities that, in breach of the Banking Act, take deposits or other returnable assets from the public. guidelines issued by the Bank of Slovenia in relation to the implementation of rules from points (a) to (f) above and in relation to Article 10 of the Banking Act. The Bank of Slovenia is also competent for the implementation of Article 458 of Regulation (EU) No. 575/2013, for the implementation of measures to limit macroprudential or systematic risk in relation to banks, and for setting the requirements in relation to capital buffers. A Slovenian bank is free to decide whether it will adopt a one-tier or two-tier management system, although it is still common in Slovenia for banks to have a two-tier corporate governance system. Special general rules exist that lay down basic rules for the governing bodies of a bank (covering the management board in a one-tier system and the management and supervisory boards in a two-tier system). The rules provide, inter alia, that a governing body, as a whole, should be formed in such a way that its members possess the knowledge, skills and experience required for understanding banking activities and the risks to which a bank is exposed. A bank should implement and execute a process of evaluating candidates prior to and after appointment, if required, but at least once every year. The Banking Act further regulates the incompatibility of management involvement by members of a bank’s managing body in other entities. Under the Banking Act, the Bank of Slovenia is empowered to issue further rules and regulations in relation to governing bodies. If a bank is managed under a one-tier system, the management board should consist of at least two executive directors, who can be appointed solely from among the members of the management board. No more than half of the management board can be appointed as executive directors. Members of the management board who are not executive directors are not entitled to run the daily operations of a bank. The president of the management board cannot also be appointed as an executive director of the bank, unless the Bank of Slovenia issues such a permit based on reasonable grounds as provided by the bank. The law regulating workers’ participation in management in relation to workers’ representatives in governing bodies does not apply to banks. If a bank is managed under a two-tier system, the management should consist of at least two members who can only jointly represent the bank and who are employed by the bank full-time. At least one member of management should be fluent in Slovenian. The Banking Act provides several requirements that a management member should fulfil to be eligible as a member of a bank’s management. Only a person who has obtained a special licence from the Bank of Slovenia (or the ECB where the supervisory authority over the bank has been shifted thereto in accordance with Regulation (EU) No. 1024/2013) can be appointed to a bank’s management. Prior to a management candidate filing for the licence, the candidate should be confirmed by the supervisory board. dedicate sufficient time to his or her function as a management member with the aim of carrying out management duties effectively. Members of the management board are jointly and severally liable for damages incurred as a consequence of a breach of their duties, unless they are able to prove that they have prevented conflicts of interest and have acted in accordance with the law and due professional care. Eligibility criteria for members of a supervisory board are similar to those for members of bank management. A supervisory board has certain competences in addition to those under the general corporate law. A supervisory board should establish a revision commission and a risk commission, and, in the case of an important bank, a benefit commission and an appointment commission. The tasks of these commissions are defined in detail in the Banking Act. banks receiving extraordinary state aid, where the remuneration and bonuses are again limited by basic principles and should be in line with ‘safe and reliable risk management’ of a bank. The Bank of Slovenia (or the ECB where the supervisory authority over the bank has been shifted thereto in accordance with Regulation (EU) No. 1024/2013) can demand such a bank to amend its remuneration policy to comply with prudent risk management and ensure long-term growth, and may set limits regarding the remuneration of members of governing bodies. As part of the full implementation of Basel III, the CRR Regulation7 (CRR) is directly applicable in Slovenia, whereas the CRD IV Directive8 (CRD IV) has been implemented into Slovenian law by adoption of the Banking Act (which entered into force on 13 May 2015). A bank must ensure that it has at its disposal at all times adequate capital to cover the capital requirements set out in Article 92 of the CRR, requirements based on Article 250, Paragraph 3 of the Banking Act (regulating the competence of the Bank of Slovenia to implement additional measures), and requirements to maintain capital buffers based on Chapter 7 of the Banking Act, and to ensure internal capital adequacy in accordance with Article 131 or in accordance with the assessment based on Article 183 of the Banking Act. A bank may include the capital instruments set out in Articles 52 and 63 of the CRR in its calculation of capital, if it obtains authorisation to include a specific capital instrument in that calculation from the Bank of Slovenia or the ECB, whenever the latter performs the tasks set out in Article 4, Paragraph 1(d) of Regulation (EU) No. 1024/2013 during the supervision of a bank in accordance with the same regulation (the authorisation shall be issued provided that the capital instrument in question satisfies the conditions set out in the CRR). A bank must ensure that is it capable, at all times, of meeting the liquidity requirements set out in Part 6 of the CRR and the regulations issued on the basis of Articles 460 and 510 thereof, and the requirements based on Article 250, Paragraph 5 of the Banking Act (regulating the competence of the Bank of Slovenia to implement additional measures). A bank must also ensure it is capable of settling its mature liabilities on time at any given moment. A bank must have appropriate, effective and comprehensive strategies and processes to continuously assess and ensure the amounts, types and distribution of internal capital that it deems necessary as coverage with respect to the characteristics and extent of the risks to which it is or could be exposed in its operations. 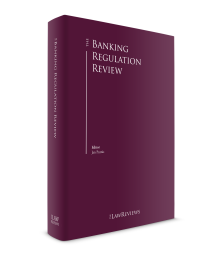 A bank must ensure on the basis of regular reviews that these strategies and processes are comprehensive and proportionate to the nature, scale and complexity of the activities it performs, and that it has internal capital adequacy to cover those risks. In accordance with Article 10 of the CRR, the Bank of Slovenia may decide to waive in full or in part the application of the requirements set out above for an individual bank affiliated with a central body. Based on established market risk management policies and processes, a bank must take into account significant market risks that are not the subject of capital requirements in accordance with the CRR when assessing and ensuring internal capital adequacy in accordance with Article 131 of the Banking Act. A bank that, when calculating capital requirements for position risk in accordance with Part 3, Title IV, Chapter 2 of the CRR, nets its position in one or more equity instruments that comprise a stock index with one or more positions in a stock-index futures contract or in another stock-index product, must ensure internal capital adequacy to cover the basic risk of loss as the result of different movements in the value of futures contracts or other derivatives relative to the movement in the value of the underlying instruments to which they are tied. A bank must also ensure internal capital adequacy whenever it holds opposite positions in stock-index futures contracts that do not match in terms of maturity or composition, or both. When applying the procedure set out in Article 345 of the CRR, a bank must ensure internal capital adequacy to cover the risk of a loss that exists from the assumption of the associated liability until the next working day. A bank that is not a subsidiary bank or parent bank in Slovenia, and a bank that is not included in prudential consolidation in accordance with Article 19 of the CRR, must fulfil the obligation to assess and ensure internal capital adequacy in accordance with Article 131 of the Banking Act on an individual basis. A parent bank in Slovenia must fulfil the obligation to assess and ensure internal capital adequacy on a consolidated basis in accordance with Article 131 of the Banking Act to the extent and in the manner set out in Part 1, Title II, Chapter 2, Sections 2 and 3 of the CRR. A bank that is controlled by a parent financial holding company or parent mixed financial holding company in Slovenia must fulfil the obligation to assess and ensure internal capital adequacy in accordance with Article 131 of the Banking Act based on the consolidated financial position of that financial holding company or mixed financial holding company to the extent and in the manner set out in Part 1, Title II, Chapter 2, Sections 2 and 3 of the CRR. If, in addition to the aforementioned bank, other banks or EU Member State banks are subsidiaries of the same parent financial holding company or mixed financial holding company in Slovenia, or an EU parent financial holding company, or an EU parent mixed financial holding company, the preceding sentence must apply in accordance with and in the manner set out in Section 9.3 of the Banking Act. A subsidiary bank that is itself, or whose parent financial holding company or mixed financial holding company is the parent of, or holds a participating interest in another credit institution, financial institution or management company established in a third country, must fulfil the obligation set out in Article 133, Paragraph 1 of the Banking Act on a sub-consolidated basis. A bank must fulfil the requirements regarding the internal governance arrangements on an individual basis, except in cases where the Bank of Slovenia waives the application of those requirements, in part or full, in accordance with Article 7 of the CRR. A bank that is the subsidiary of a parent financial holding company or parent mixed financial holding company in Slovenia, or an EU parent financial holding company or EU mixed financial holding company, must fulfil the requirements regarding the internal governance arrangements set out in Article 128 of the Banking Act on the basis of the consolidated financial position of that financial holding company or mixed financial holding company. If, in addition to the aforementioned bank, other banks or Member State banks are subsidiaries of the same parent financial holding company or mixed financial holding company in Slovenia or an EU parent financial holding company or EU parent mixed financial holding company, the preceding sentence applies in accordance with and in the manner set out in Section 9.3 of the Banking Act. A parent bank in Slovenia and its subsidiary banks must fulfil the requirements regarding internal governance arrangements on a consolidated or sub-consolidated basis. A parent bank in Slovenia and its subsidiary banks must ensure that the aforementioned internal governance arrangements are appropriately integrated, and that they are consistently implemented at all other subsidiaries in such a way that facilitates the compilation of all data and information important for supervision. Notwithstanding the above, a parent bank in Slovenia or a subsidiary bank of an EU parent financial holding company or EU parent mixed financial holding company is not obliged to fulfil the requirements regarding internal governance arrangements in connection with subsidiaries established in a third country, if it demonstrates to the Bank of Slovenia that the fulfilment of those requirements would be in contravention of the valid regulations of the third country. A bank that is not part of a group that is subject to supervision by the Bank of Slovenia or another competent authority on a consolidated basis must adopt a plan of measures, or ‘recovery plan’, which will facilitate the restructuring of the bank in the event of a significant deterioration in its financial position, with the aim of maintaining or restoring the viability and financial soundness of the bank. On the other hand, if so demanded by the Bank of Slovenia or another competent authority, a bank that is part of a group that is subject to supervision by the Bank of Slovenia, the ECB or another competent authority on a consolidated basis, and that is not an EU parent bank, must adopt an individual recovery plan taking into account circumstances and measures at the level of that bank. measures and activities envisaged in the recovery plan could adversely affect the resolvability of the bank. A bank must regularly verify the appropriateness of the recovery measures set out in its recovery plan and must update that plan at least once a year based on the findings from regular verification. In addition, a bank must update its recovery plan after any change to its legal or organisational structure or its business or financial situation that could have a material effect on the implementation of envisaged recovery measures or the success of the recovery plan with regard to stabilising the bank’s operations. The Bank of Slovenia or the ECB (where the latter performs the tasks set out in Article 4, Paragraph 1(i) of Regulation (EU) No. 1024/2013 during the supervision of a bank in accordance with the same regulation) may require a bank to update its recovery plan in regular periods of less than one year. A bank must submit its recovery plan in the manner determined by the Bank of Slovenia (where the Bank of Slovenia performs the tasks set out in Article 4, Paragraph 1(i) of Regulation (EU) No. 1024/2013 during the supervision of a bank). If, during supervision, the Bank of Slovenia determines that a bank is in breach or is likely to be in breach of banking regulations within the next 12 months, it will inform that bank in writing of its findings and order it to cease the conduct and rectify the breaches, and to submit a written report to the Bank of Slovenia by a specific deadline describing the measures it has taken to rectify the breaches, with the appropriate evidence. If the breaches are such that they could have material effects on the secure and prudent governance of the bank, it must, in addition to the requirements set out in the preceding sentence, order the bank to implement certain additional measures to rectify or prevent breaches. require the holders of a qualifying holding to recall a member or members of the supervisory board who permitted breaches identified at a bank to occur, even though they were aware or should have been aware of those breaches, and appoint a new member or members to the supervisory board. require the bank to ensure the conditions and information that the resolution authority needs to update the resolution plan, or to plan resolution measures, including a valuation of the bank’s assets and liabilities for resolution purposes. As a last resort measure in the scope of the ordinary measures of the Bank of Slovenia, the Banking Act foresees the withdrawal of a bank’s licence. Extraordinary measures are regulated in the newly adopted Resolution and Compulsory Dissolution of Credit Institutions Act, which entered into force on 25 June 2016. The law partially amends the Banking Act and implements Directives 2001/24/EC and 2014/59/EU, and regulates in detail the execution of Directive 806/2014/EU. write-down and conversion of qualified liabilities. appropriate remuneration policies and practices that are in line with prudent and effective risk management, and thus also promote risk management. Internal governance arrangements must be comprehensive and proportionate to the nature, scale and complexity of the risks that derive from a bank’s business model and the activities it performs. A bank is subject to strict reporting obligations and to preventive and curative measures by the Bank of Slovenia and other competent authorities. Slovenian banks should follow strict know-your-client rules with the purpose of the prevention of money laundering and financing of terrorism. Banks must also adhere to consumer protection rules. in other cases where the law expressly sets out a bank’s obligation with regard to the forwarding of confidential data regarding a specific client. The obligation to safeguard confidential data does not apply if a bank or its officer forwards data to a prosecutor or the police for the purpose of informing those authorities of reasons to suspect a criminal act has been committed. In addition, a bank may disclose confidential data if required to carry out negotiations for the conclusion of an agreement or to fulfil an agreement that the bank concludes in the scope of standard banking activities, and if the recipient ensures the appropriate safeguarding of that data. For the needs referred to in the previous sentence, a bank may only disclose confidential data regarding a client that are crucial for the conclusion or implementation of an agreement. Every time those confidential data are forwarded, a bank must ensure that it is possible to subsequently determine which confidential data were forwarded, to whom, when and on what basis, for a period of 10 years following the forwarding of that data. A bank is subject to general rules on civil and criminal liability. The same applies to the members of a bank’s bodies and its employees. The Banking Act provides for special liability of management and supervisory board members. Management members are jointly and severally liable for damage that has occurred as a consequence of a breach of their duties, unless they are able to prove that they have prevented conflicts of interest and have acted in accordance with the law and due professional care. The same special liability applies for supervisory board members. The funding of banks in Slovenia is based on typical methods, such as deposits, capital market products, interbank lending and ECB lending. The Acquisitions Directive (2007/44/EC) was implemented into the Slovenian legal system in 2009. The Banking Act provides that any entity (or entities that act in accord) holding a ‘qualifying holding’ in a Slovenian bank should obtain authorisation from the Bank of Slovenia prior to acquiring such a holding in a bank. The definition of ‘qualifying holding’ is applied directly from CRD IV, and means a direct or indirect holding in an undertaking that represents 10 per cent or more of the capital or the voting rights,or that makes it possible to exercise a significant influence over the management of that undertaking. the likely consequences, should the future qualifying holder acquire the qualifying holding that is the subject of the request, for the bank’s ability to act in accordance with risk management rules, and to meet the requirements and restrictions set out in the Banking Act, the CRR and other regulations that apply to the bank. When assessing the suitability of a future qualifying holder based on the criterion set out in point (d) above, the Bank of Slovenia will also assess the organisational structure, processes and systems within the group that the bank will become part of when the qualifying holding that is the subject of the request is acquired by the future qualifying holder, and the likely consequences for the possibility of effective supervision, the efficient exchange of information between the competent supervisory authorities, and the segregation of supervisory powers and responsibilities between the competent supervisory authorities. When assessing the suitability of a future qualifying holder, the Bank of Slovenia will also assess whether there are any reasons to suspect that an act of money laundering or terrorist financing, as set out in the Prevention of Money Laundering and Terrorist Financing Act, was or will be committed, or an attempt to commit such an act was or will be carried out in connection with the acquisition of a qualifying holding; or that the acquisition in question will increase the risk of money laundering or terrorist financing as set out in the Prevention of Money Laundering and Terrorist Financing Act. The Bank of Slovenia may not assess the suitability of a future qualifying holder in terms of the economic needs of the market. If the Bank of Slovenia processes two or more requests to acquire a qualifying holding in the same bank at the same time, it shall treat all future qualifying holders in a non-discriminatory manner. a legal person or natural person who controls the entities set out in points (a) and (b). a legal person or natural person who controls the entities set out (a) above. The Bank of Slovenia shall consult and exchange information with the competent authorities and supervisory authorities of Member States regarding the suitability of qualifying holders, and the reputation, knowledge, skills and experience of members of the management boards of undertakings within the same group, and other information necessary for determining whether a future qualifying holder meets the criteria. If a future qualifying holder is a third-country financial sector entity subject to supervision, a request for authorisation to acquire a qualifying holding shall be accompanied by the consent or opinion of the competent authority or supervisory authority, or by a notification that no such consent or opinion is required in accordance with the regulations applicable for the future qualifying holder in its country of establishment. the future qualifying holder does not submit all the documentation and information required for the assessment of its suitability by the deadline set by the Bank of Slovenia in accordance with the Banking Act. The Banking Act provides an option by which a bank may transfer all or part of its business (comprising deposits and possibly loan arrangements and other assets) to another entity without the consent of the customers concerned, namely the demerger (spin-off) of a banking entity, where the universal legal succession principle applies and the consent of the customers is not required. If a demerger results in a new undertaking that will provide banking services, that new undertaking must obtain authorisation to provide banking services before the demerger in question is entered in the companies register. If a bank is party to the demerger of undertakings in which it continues to provide banking services, it must obtain authorisation before the demerger from the Bank of Slovenia, or the ECB whenever the latter performs all the tasks set out in Article 4, Paragraph 1 of Regulation (EU) No. 1024/2013 during the supervision of a bank. The request for authorisation must be submitted to the Bank of Slovenia, where the ECB performs the tasks set out in Article 4, Paragraph 1(b), (d) to (i) of Regulation (EU) No. 1024/2013 during the supervision of a bank in accordance with the same regulation. a written report of the supervisory board. A decision to issue an authorisation may include conditions or limitations on the provision of services for which authorisation is issued with the aim of preventing breaches of the Banking Act or the CRR. In general, the process and the conditions are similar to the process of obtaining a general banking licence. synthetic transfers of assets or a kind of silent participation or sub-participation, which is actually not a real transfer of business. In addition to the adoption of the new Resolution and Compulsory Dissolution of Credit Institutions Act (partially amending the Banking Act, implementing Directives 2001/24/EC and 2014/59/EU and regulating the execution of Directive 806/2014/EU), the ‘consolidation’ of the banking sector continued in 2017. Within this scope, the controlled liquidation of two Slovenian banks in early 2016 (Factor Banka dd and Probanka dd) led to a decision by the governing board of the Bank of Slovenia regarding the termination of the special administration at Factor Banka dd and Probanka dd, and the consequential lapse of the two banks’ authorisations to provide banking services. Both entities were merged with the BAMC in 2016. The second-largest Slovenian bank, Nova Kreditna Banka Maribor dd, which was privatised in mid-2016, integrated (merged) its affiliate bank PBS dd and KBS Banka dd (formerly registered as Raiffeisen Banka) as part of the group’s overall consolidation. A hot topic throughout 2017 remained the ‘bail-in’ measures imposed by the Bank of Slovenia in December 2013 concerning extraordinary measures ordering five banks (NLB dd, Nova Kreditna Banka Maribor dd, Abanka Vipa dd, Probanka dd and Factor Banka dd) to write off certain types of liabilities (share capital, hybrid capital and subordinated debt instruments), which was followed by a state aid approved by the EU Commission. Certain entities filed for a review of the constitutionality of certain provisions of the Banking Act and, at the end of 2014, the Constitutional Court of the Republic of Slovenia stayed proceedings and referred certain questions to the CJEU, where the main question was whether a Communication from the European Commission regarding state aid rules to support measures in favour of banks in the context of the financial crisis is binding on Member States. In early 2016, Advocate General Wahl delivered an opinion, and proposed that the CJEU find that the Communication is not binding on Member States, and as a leading message stressed that the burden-sharing principle is relative, and that it is up to the national courts to verify that when aid measures are adopted, the principle of proportionality has to be observed. Following the preliminary ruling of the CJEU in Case No. C-526/14, dated 19 July 2016, the Constitutional Court issued Decision No. U-I-295/13, dated 19 October 2016, in which it adopted (what many call a Solomon) decision that the bail-in measures as such were constitutional, while at the same time deciding that shareholders and holders of hybrid capital and subordinated debt instruments should have an option to challenge the bail-in measures (i.e., the consequences the measures had on them) before regular courts and claim damages (based on the principle that such entities should not be in a worse position than if they were to undergo an insolvency procedure or a mandatory liquidation procedure). A special new law (with the working title, Procedure of Legal Protection of Holders of Qualified Liabilities of Banks Act) is in the process of adoption, which will regulate such litigation proceedings. During 2017, vibrant activity continued in the commercial banking sector in terms of non-performing loans and loan portfolio sale transactions. In an effort to encourage banks to ‘clean their balance sheets’ and to further improve their capital adequacy ratios, haircuts were rather appealing, and foreign investors were very active in this field. It is expected that this activity will continue in 2018. The direction taken by the Constitutional Court in the above-mentioned decision led to the continued stability of the Slovenian financial and banking sector. Considering the current draft proposal of the new Procedure of Legal Protection of Holders of Qualified Liabilities of Banks Act, the potential claims brought forward by shareholders and holders of hybrid capital and subordinated debt instruments should have no further effect on Slovenian banks. In other words, in the event that those subjects are successful in their claims, damages should be paid either by the Bank of Slovenia or by the state. Following bail-in measures and the consequent nationalisation of several banks, Slovenia is, in line with the commitments given to the European Commission, obliged to sell and thus privatise these banks. A hot topic during 2018 is expected to be the sale procedures of certain (currently) state-owned banks; for instance, the sale procedure of the biggest Slovenian bank, NLB dd, after a cancelled initial public offering process and the sale of Abanka dd. It is expected that the positive trends that were present in the banking sector during 2016 and 2017 will continue in 2018, and that the Slovenian economic environment will remain relatively stable financially, with prospective investment opportunities. The recent greenfield investments in 2017 by Magn a Steyr, Yaskawa and Sumitomo confirm this conclusion. 1 Gregor Pajek is partner at Rojs, Peljhan, Prelesnik & partners O.P., d.o.o. Thanks are extended to Simon Žgavec for his significant contribution to this chapter. 4 Author’s estimation – because of recent mergers, no official data are available. SID Banka dd was excluded as a bank with special status (a specialised bank for the promotion of exports and development that is fully state-owned). 5 Lending activity as such is not specifically regulated in Slovenia, with the exception of consumer lending, which is regulated under the Consumer Credit Act; this activity requires a special consumer lending licence (whereas a bank in possession of a banking licence does not require a special consumer lending licence for consumer credit services). 9 For example, with regard to the CRR, Article 412(5), first sentence (discretion implemented), Article 413(3) (discretion implemented) and certain exceptions in relation to large exposure from Article 493(3), and with regard to CRD IV, Article 74(4), Article 76(3) and Article 152(2). 10 Bank of Slovenia press release of 10 January 2017.